The 8.5-ton XLP series maximizes the potential of your chassis by providing a greater structural bed capacity of 17,000 lbs. with available 3,500- and 5,000-lb. wheel-lift options. Heavy wall, reinforced, low profile subframes provide load angles as low as 9.5 degrees with 22’ through 24’ (single axle) and 26’ through 30’ (single and tandem axle) steel and aluminum conventional beds options. 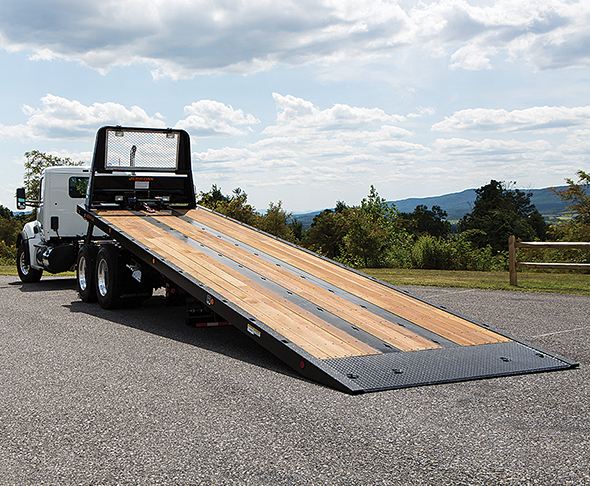 For those who need more than a 6-ton without the additional expense of a larger carrier, the 8.5-ton provides the versatility of both. Call 800-926-9666 or visit www.jerrdan.com.